For any enquires please contact tracy.wilson@plymouth.ac.uk. We needed corporate sponsors to help fund our record attempt, and offered excellent publicity and marketing benefits in return. We generated lots of publicity including TV coverage, local radio and national press. Our social media reach was incredible and we even made national TV in Canada! Testing of our handcycle showed that we had a very strong chance of breaking a record and we expected significant publicity, but it exceeded our expectations! 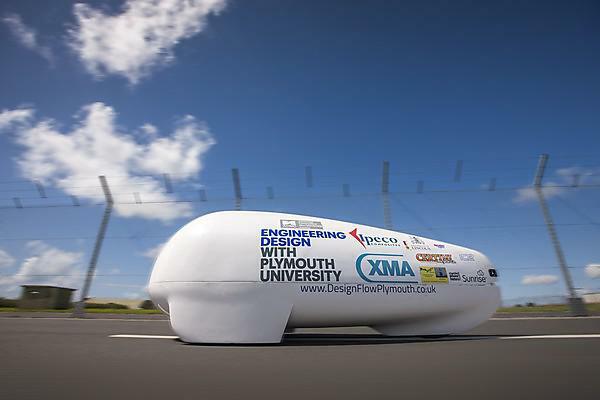 Sponsor logos had pride of place on our aerodynamic shell, and worked with many to maximise benefits through, for example, trade show displays, community events and presentations at corporate events. Suppliers of all the bicycle components used on the handcycle at cost price, along with invaluable, help, support and advice on all things bicycle!